As you know despite its fighting heritage, Mastiffs are usually peaceful, quiet and undemanding animals. This dog is happiest when lying comfortably beside your easy chair. Every dog feels good when his owner provide him with love and care. Socialization and obedience training is a must for Mastiff. Short and frequent training sessions by a confident and consistent owner are best. Mastiffs are sensitive and remember that they can be stubborn when confronted with aggressive owners. They also have long memories, so it’s easier to train correctly the first time rather than to retrain bad habits. Make your training like a game! 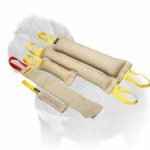 Head spins around because of huge variety of dog training gear on the world market, doesn’t it? 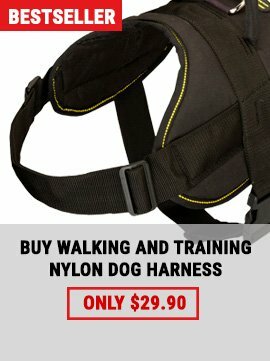 It’s time to stop searching as you found the best harness for your Mastiff! 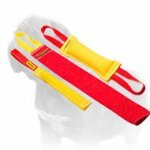 This Multifunctional Nylon Dog Harness will totally meet your needs whether you are a professional dog trainer or just a dog owner. 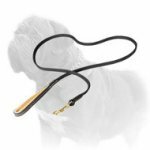 It is beneficial for both you and your Mastiff as it is extremely comfortable and easy in use! Your Mastiff training wasn’t so pleasant before! Catch the moment and do not waste the chance! 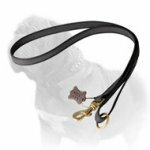 With this Nylon Dog Collar weather conditions won’t catch you off balance. 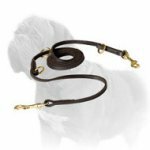 Say no to spoiled collars as nylon material is easy washable and waterproof. Moreover, this material is extremely popular in many industries for its strength and long lifespan. 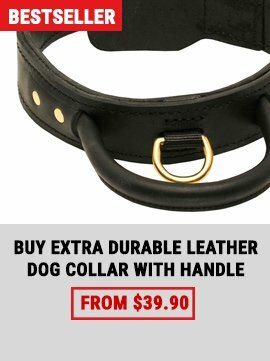 The collar is suitable for your dog's workout, walking, exercises and even for special occasions. 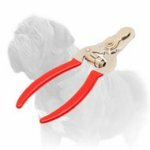 If wearing this Luxurious Nylon Collar, your Mastiff will always look appropriate. 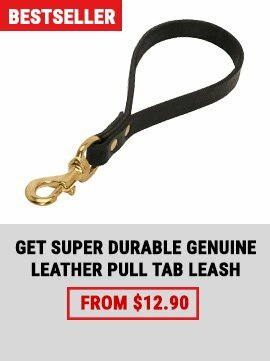 Buy it right now to have one collar perfect for all dog activities.